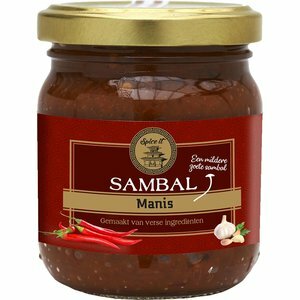 If it gets too hot with all those peppers, sambal manis is exactly what you need. 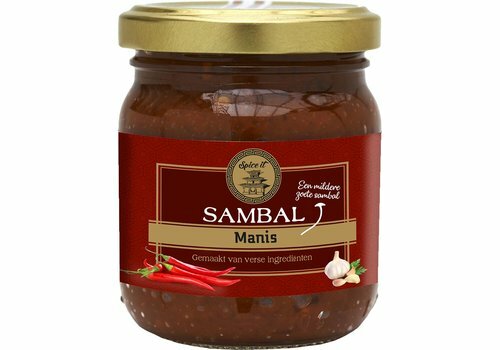 Manis is Indonesian for sweet and this sambal is also a lot milder with the addition of sweet soy sauce. 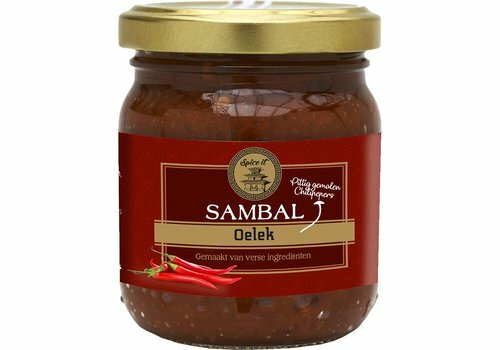 Delicious in a marinade for chicken. 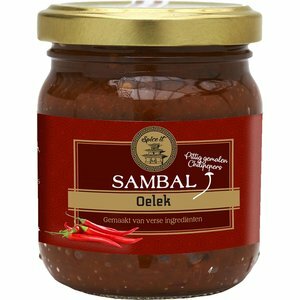 If oelek is slightly too hot for you, you might want to take a spoonful of badjak. This sauce is slightly milder because it is baked and because it contains onion. As a result, badjak also has a slightly deeper taste.